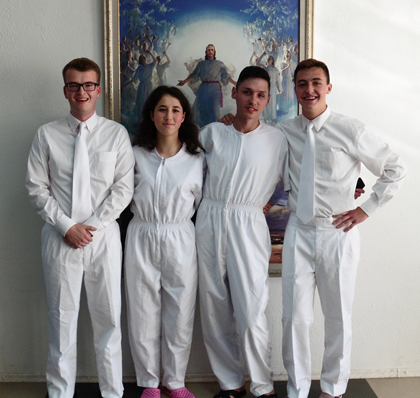 Elder Morgan and his companion Elder Kohler were blessed with two more baptisms as they serve in Balti, Moldova. Here is a summary of each new convert and written by Elder Mogan. Roma is a 26 year old man that we met through English, He knows Russian, Romanian, Sign Language (Because his father and brother are deaf), and okay English. He enjoys to listen to music in his free time, and likes to take selfies (He wants to become a Model). He was going through a difficult time in his life. His Mother at the time was deathly sick, he was unemployed (But now has work) and we offered him a message of peace and comfort. A message of Jesus Christ. Everything that we taught him, he accepted. He had one obstacle however, he had an addiction to Smoking, and we offered to help him overcome that Addiction. Within a week, and with the Church’s quick smoking problem, we were able to help him quit smoking. That in of itself, was a miracle. Sadly, within a month or two of knowing Roma, his Mother passed away, and that was a huge trial for him. You could say, that that was his Zion’s camp, and there are many more to come. The Church has now become his family. He was baptized by Elder Kohler on the 12 of May, 2016 and was confirmed a member on the 15 of May, 2016. Olga is a 19 year old girl that found us from her friend Christina. This is amazing to me how we met her in the first place. About 2 years ago, Ben Giles, a missionary at the time taught a man named Victor. Victor eventually stopped investigating the church, but his contact was still in the phone. One day, Elder Kohler and I were trying to call a member Victor, but ended up calling the wrong Victor who Ben Giles taught 2 years ago. 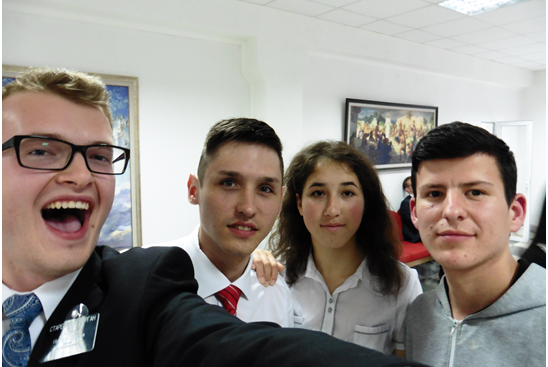 Elder Kohler invited him to meet with us again, and so, Victor brought Christina with him. Then Christina brought Olga, and through that, we were able to teach her about the Restored Gospel of Jesus Christ. She is currently studying at the University to become a English and Spanish teacher. Through her, a young man named Boris found us, and we have a baptismal date with him currently for June 4th, he is doing great. Also, In a year, Olga wants to serve a mission as well, it’ll be cool to see what happens! Olga was baptized by me on the 12 of May, 2016 and was confirmed a member on the 15 of May, 2016.